Another very elegant Sushi menu board. The black and white color divide on the board lens a unique style while the orange typeface and lettering provide the flamboyance. 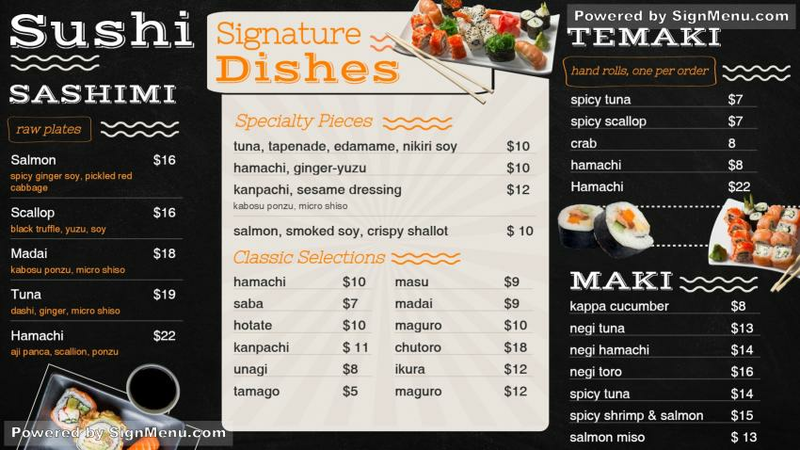 The menu is exotic too with shashimi, tamaki, and maki preparations and variants. On a digital screen this menu board will certainly attract the target audience to come in and try out the delicacies.